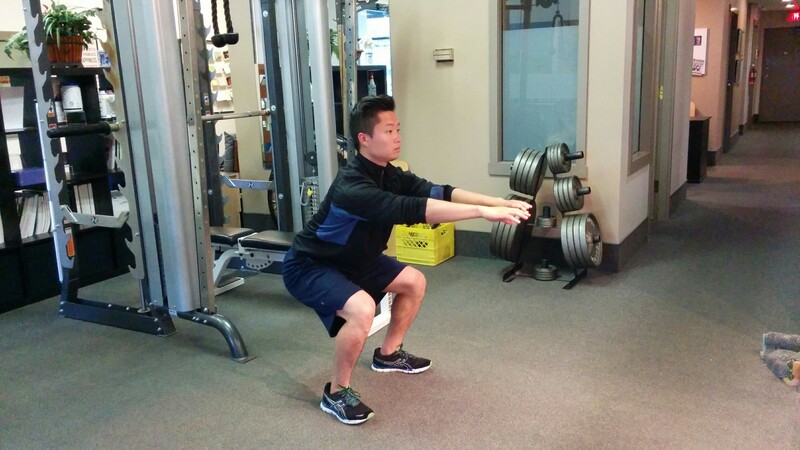 Squats are a great exercise to help improve lower body and core strength, as well as posture. 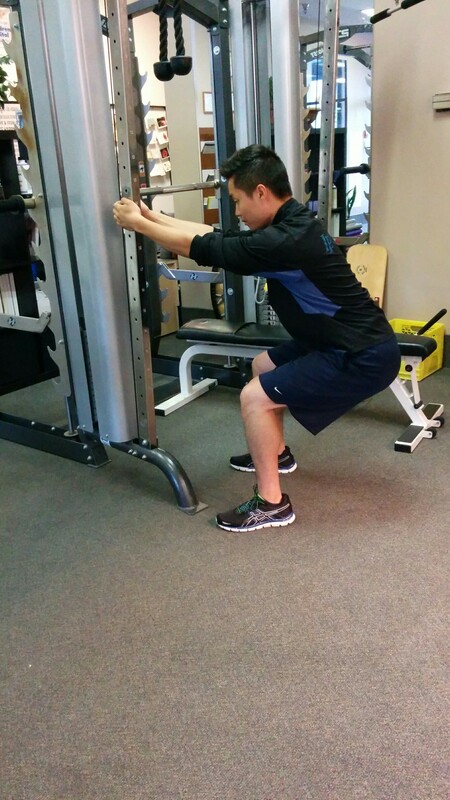 It targets your quads, hamstrings, glutes, and lower back. Not only are the a regular movement that almost EVERYONE does EVERY DAY (sitting down on a chair, or getting up off a toilet seat), it’s incredibly important that we do them properly to protect our joints and ligaments from unnecessary strain. 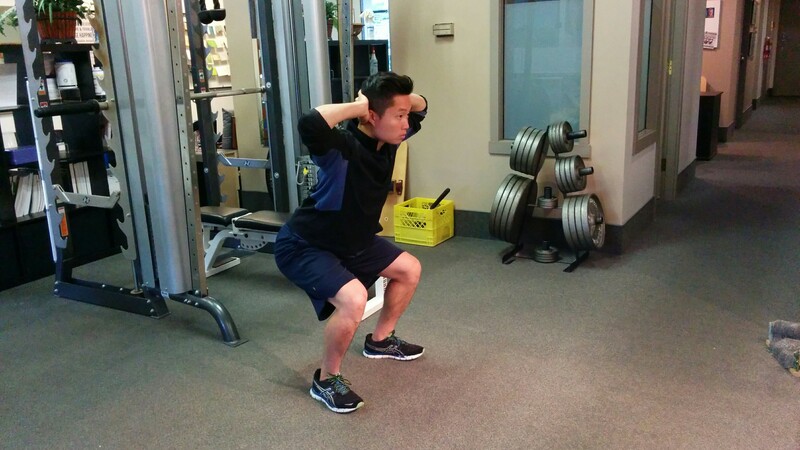 When it comes to sports, think about how squats can be great for surfing, golfing, racquet sports, football, snowboarding, skiing….the list is really quite endless! Feet positioned at approximately shoulder or hip width apart, along with toes pointed in a natural forward-pointing direction. Common mistake: feet positioned too narrow with toes pointed in an excessively lateral direction, or feet are too wide and toes are pointed too forward. 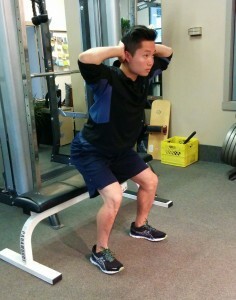 Start the movement by pushing your hips back, as if sitting on a chair a little far behind you. 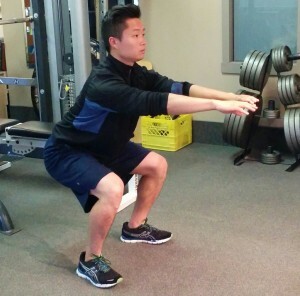 Common mistake: “folding at the knees” and sinking straight down. You may notice your knees creeping forward past the toes on the descent. Common mistake: rounding of the lower back, and tucking the buttocks under the spine. 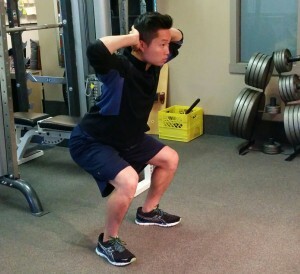 Push off on the heels, while keeping the feet flat on the floor, to stand up. 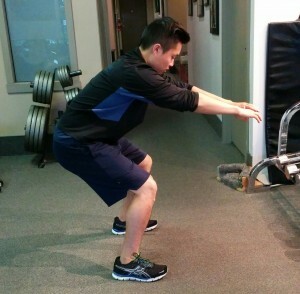 This helps to engage the muscles of the posterior chain. Common mistake: pushing off on the toes which will contribute to excessive stress in the knees, and decreased stability if heels lift off the floor. 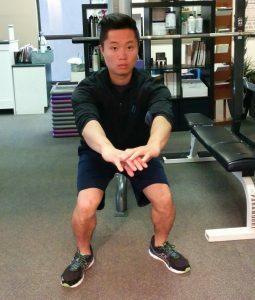 What to do with your hands on body squats? 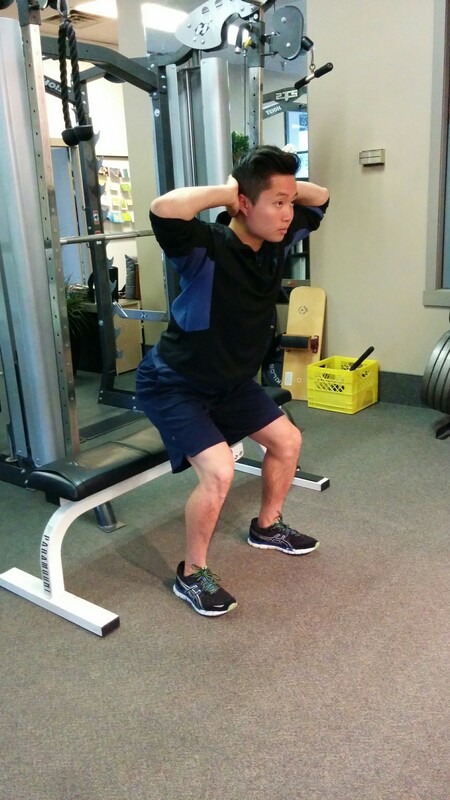 Use a bench in order to modify the squatting depth, and to reduce the duration that the knees are under stress. 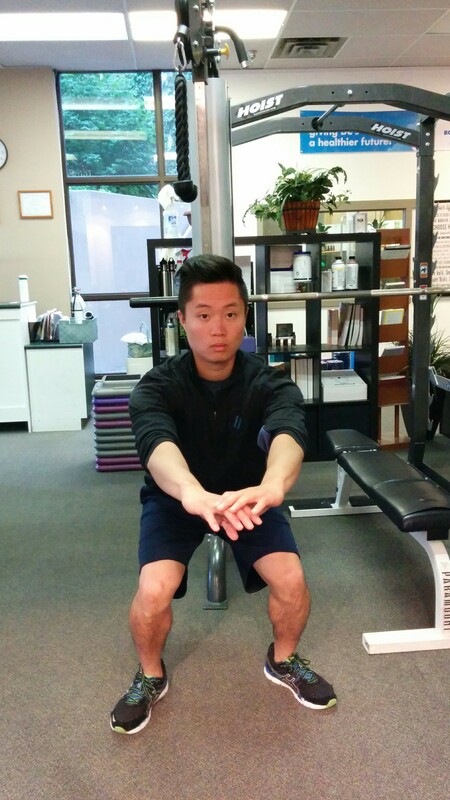 Engage the abdominals and draw the ribs inward in order to neutralize the spinal alignment. 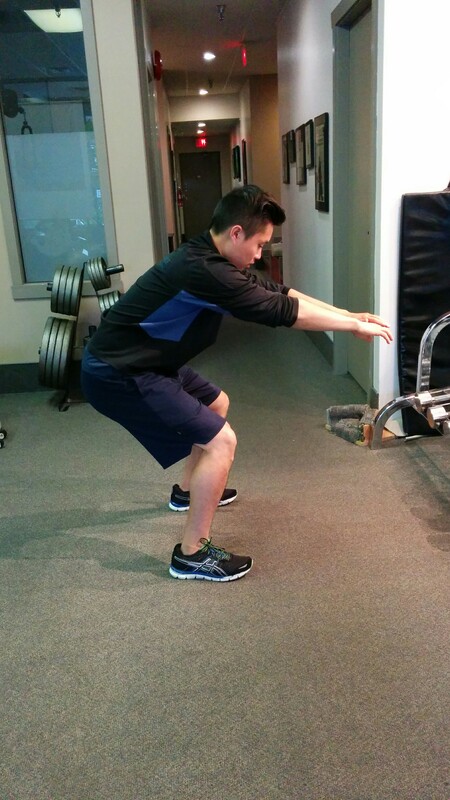 Decrease your range of motion so that throughout your entire squat, the heels stay firmly on the floor. 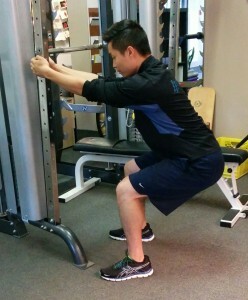 Slowly work on increasing range of motion and squatting lower, with correct technique. 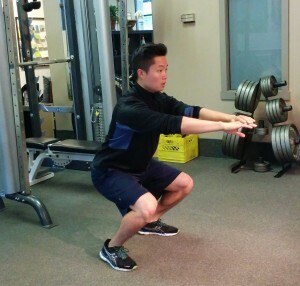 If you’re doing a revamp of your workout, I hope you incorporate these moves into your routine, squats are the foundation of so many lower body exercises you can imagine. If you’ve been having issues, try some of the modifications I suggested, and let me know how they work for you! 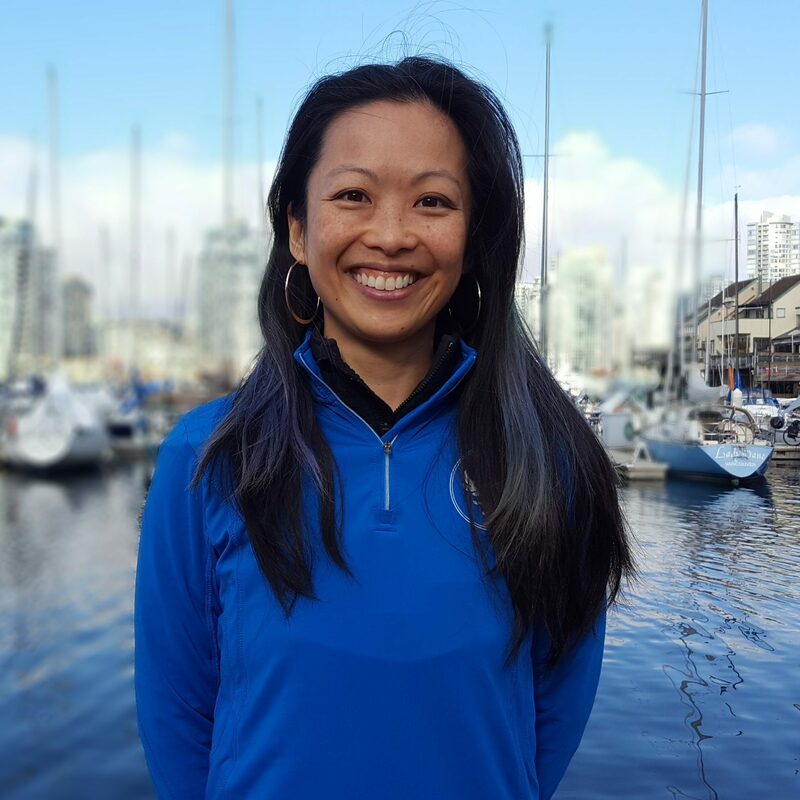 If you have questions, comments or want me to check out your squat technique, just drop me a line at 604 873-2255 or just email me at appt@lephysique.com – I’m happy to help out!